"It’s the end of the world as we know it…." 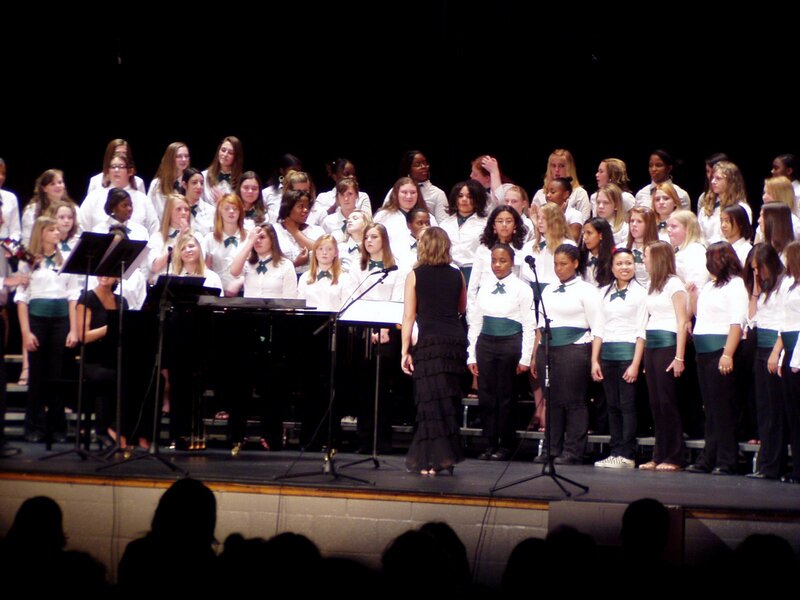 I went to my daughter’s middle school chorus concert last week, and I’m still shaking. The numbers of kids singing was impressive, and their attempt in singing Bach was commendable. The audience gathered to listen was atrocious. No thanks to American Idol, our attempts to appreciate music borders on the self-indulgent both in the fawning over “my baby” to the total disregard of the performers. I have never witnessed such an inattentive, disrespectful crowd — their sixth grade children know better how to behave. Or maybe that’s where they get it from. What was sad was the vulgarity of the experience. It was base. Again, I commend the kids and the director. It was the lack of respect demonstrated by the audience which was so unnerving. The majority of the audience completely missed the beauty of the music which had transcended centuries, the nobility in the attempt to bring together the numbers of individuals (musicians and vocalists) into an ensemble, and the right of passage as the next generation expressed themselves through songs we stumbled through as Jr Highers. At one particular moment as a mother tried to reign in a belligerently disobedient toddler, another attendee answered their ringing cellphone, and acquaintances conversed in the back, I couldn’t help but think, “We’re sunk; life in the West is in a wide arcing circle going down the drain.” Heaven help us. You ain’t kiddin’, brother! You ain’t kiddin! And don’t get me started about cell phones! Saint Gregory needs to calm down… “Don’t get me started” about cultural critics… Just kidding!I’m glad to have found your thoughtful blog, Dirk. Can you guess who I am? It has been said of trying2notbestupid that comedy is his forte. Indeed, indeed. You are a funny man, T2NBTS.